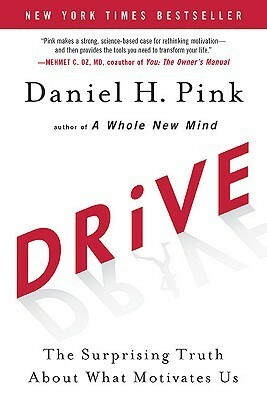 In Drive: The Surprising Truth About What Motivates Us, author Daniel H. Pink reveals the secret to productivity and satisfaction: It is simply the innate human desire to be in control of our own lives, to explore the world around us and encourage our creativity, and to constantly try to improve ourselves. We have compiled all the advice in this book into a series of actionable habits you can implement in your life, so you can inspire motivation in yourself and those around you. Daniel H. Pink is the author of six provocative books — including his newest, When: The Scientific Secrets of Perfect Timing, to be published in January 2018. His other books include the long-running New York Times bestseller A Whole New Mind and the #1 New York Times bestsellers Drive and To Sell is Human. His books have won multiple awards and have been translated into 35 languages. He lives in Washington, DC, with his wife and their three children. Avoid using short-term rewards as a motivational tool. Learn how to motivate your team to complete boring or tedious tasks. Encourage mastery in your team members and/or employees of your organization. Inspire purpose in your team and/or employees. Compensate your employees the right way. Add the following books to your reading list. Equip your children with the skills they need to grow into curious, self-directed adults who lead satisfying lives.